The 25th of January marked the completion of four years since the electoral victory of SYRIZA (Coalition of the Radical Left) back in 2015. Today, four years later, we can draw valuable conclusions regarding the actual role of SYRIZA in Greece's political developments. Most importantly, the Greek working class can draw conclusions which can be proved helpful in the upcoming battles of class struggle. The coalition government between SYRIZA and the far-right, nationalist party of “Independent Greeks”, which lasted for 4 years, did a significant job. Actually, it was the government that completed the “dirty job” on behalf of the capital and managed to “succeed” where the previous administrations of New Democracy (ND) and PASOK had failed. 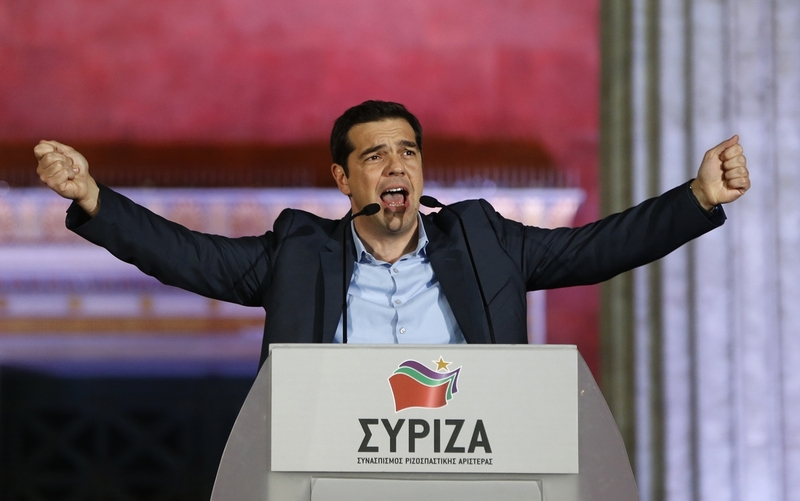 The pre-electoral declarations of SYRIZA about the “end of austerity” were soon proved false promises. 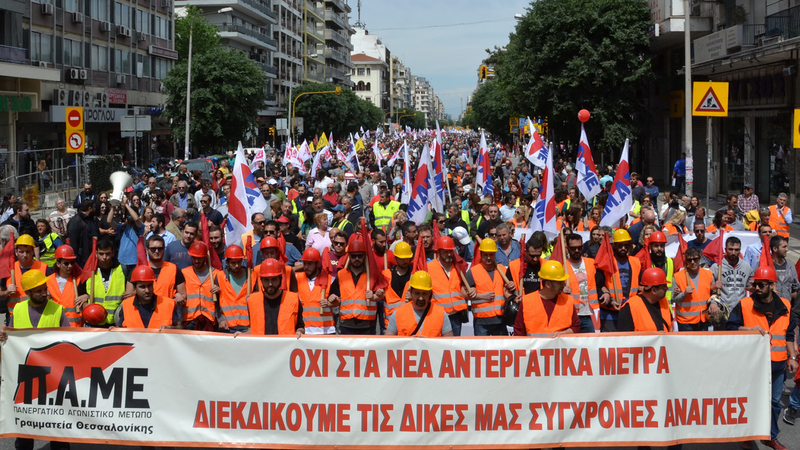 In the anti-people, anti-worker policies of the previous governments and the two austerity memorandums, Tsipras' government added a third one, alongside with hundreds of anti-worker laws and post-memorandum commitments until 2060! Despite the rhetoric about “clash with EU austerity”, the SYRIZA-ANEL government became an efficient implemeter of lasting austerity, and “balanced budgets” (which means more cuts in state funds for Education, Health, Social Security, etc). Within a month in the government, SYRIZA and its right-wing partner, ANEL, proceeded to the first agreement of anti-people measures with the Troika (which hypocritically was renamed as “the institutions”). This first agreement, which was actually a continuation of the existing austerity mechanism, took the name “bridge programme”. 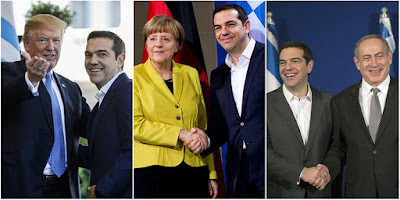 In summer 2015, as part of an effort to deceive workers and popular strata, the government of Alexis Tsipras organized a new machination: They “set up” a false dilemma through the notorious July 5th referendum, actually trapping the Greek people within the logic of the “lesser evil”. 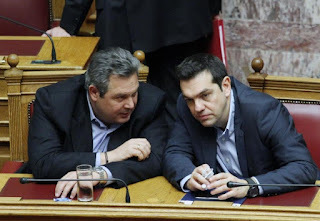 Just a few weeks later, the SYRIZA-ANEL government, with the votes of New Democracy, PASOK and Potami, passed the 3rd austerity memorandum at the Greek Parliament. Full implementation of all the anti-people, anti-worker measures of the previous austerity memorandums (2010-2014) signed by the governments of PASOK and ND, which include immense cuts in salaries and destruction of labour rights. Unprecedented tax enforcement against the working class and popular strata, including increase in VAT and dozens of increases in “special” taxes. At the same time, numerous tax evasion laws in favor of the big capital remained intact. Cuts in pensions and retirement age limits, decrease of lump-sum allowances, while through the so-called “Katrougalos law” a whole category of insurance contributions was imposed. The tax enforcement on one hand and the continuous reductions in pensions and social benefits on the other, led to monstrous primary surpluses. These surpluses in state budget have been a result of extreme austerity imposed on the working people. From the budget's 55 billion euros, only 800 million euros are being used by the government as part of a supposed “social policy”. Implementation of every project that benefits the big capital, from the destructive gold mining in Chalkidiki and the conversion of Attica into a field of profit-making large businesses (casinos, Elliniko redevelopment, etc) to the privatization of the country's airports, major ports (e.g. Piraeus, Thessaloniki), of the Public Power Corporation (DEI), etc. Today, in his effort to extol his policies, Prime Minister Tsipras talks about a “very different Greece”. 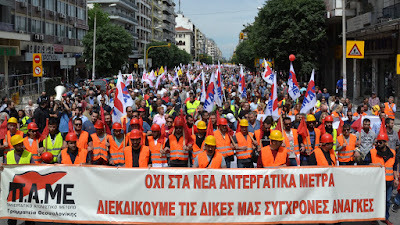 In fact, after four years of SYRIZA government, today's Greece is a country of even worse exploitation of the capital over the working class, of monopolies' profitablity, of underemployment, numerous occupational “accidents” (murders), destroyed collective contracts and crumbled social security system. At the same time, the 4 years of SYRIZA government confirmed the fact that the implementation of anti-people, anti-worker policies go hand by hand with the intensification of oppression and police violence against the workers' movement. As an opposition party, SYRIZA was regularly condemning police brutality against demonstrators; however, Mr Tsipras' government followed the same path: Riot police attacks against peaceful protesters, teargas and flash grenades against workers, teachers, students, farmers, even against pensioners. SYRIZA, which ascended to power through a false, hypocritical “anti-austerity”, supposedly “radical” rhetoric, became the most loyal proponent and implementer of austerity. The imperialists, the creditors, the EU and the US, have all praised the job of Tsipras' government in economy, congratulating SYRIZA for impementing capitalist, fiercely anti-worker reforms. The truth is that SYRIZA was never against the capitalist system. On the contrary, its roots go back to the – destructive for the communist movement – revisionist trend of eurocommunism. 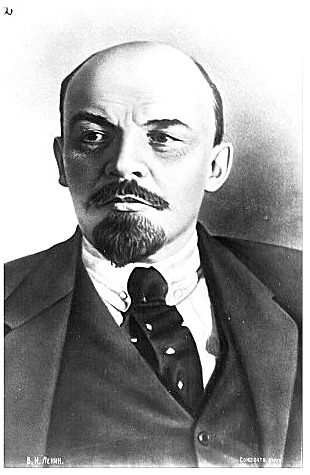 The party's predecessor, Synaspismos, had been the political refuge of opportunists, revisionists, anti-soviet leftists, eurocommunists, trotskyites and others. Back in the beginning of the 1990s, Synaspismos had welcomed the victory of counterrevolution in the Soviet Union and Eastern Europe, while it backed the notorious Treaty of Maastricht (Treaty of the European Union). Since the beginning of the capitalist economic crisis in Greece, the transformation of SYRIZA into a social democratic party was accelerated. Between 2010 and 2014, the party of Tsipras adjusted its programme, steadily abandoning radical positions and adopting a more pro-EU stance. 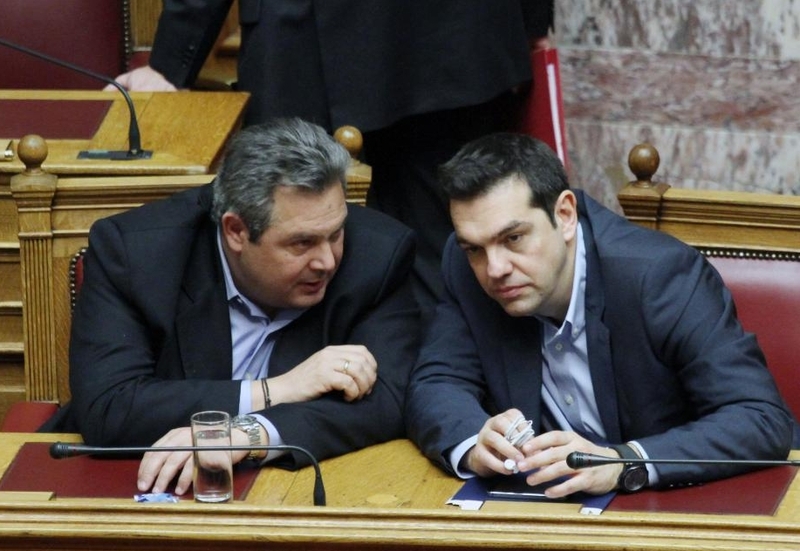 From the “clash with the EU and creditors”, SYRIZA moved towards the “negotiation within the EU framework”. In the beginning of its first governmental term, SYRIZA was already devoted to the stimulation of capitalist development, while it was promising that its development plan would benefit both the working class and the large businesses. Promoting the slogan “humans above profits”, SYRIZA was spreading illussions to the masses that capitalist development can lead to positive results for the working people as long as a “left government” is in charge of the policy. This theory has been proved a blatant lie and consists nothing but a deception against the workers. The lies of SYRIZA and Mr Tsipras have been exposed. 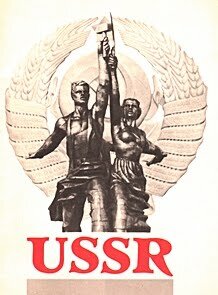 They obfuscated the fact that capitalist profitability requires the increase of the exploitation degree towards the working class and a relative impoverishment of the workers and the poor popular strata. SYRIZA promised that it can combine capitalist growth with pro-people, pro-workers terms and conditions; but that was something impossible, as long as capitalist development and large businesses' profitability are incompatible with workers' prosperity. Alexis Tsipras and his political collaborators were certainly aware of it, but they decided to deceive the Greek people in order to take the power. During the last four years, the government of SYRIZA was proved the most loyal promoter of the US-NATO interests. Without exaggeration, Mr Tsipras' government deserves the title of the “standard-bearer” of imperialist interests in the broader region of Eastern Mediterranean. As Greece's Prime Minister, Tsipras signed all NATO agreements, defended the euroatlantic alliance's expansion in Eastern Europe and the Balkans, agreed and promoted to the establishment of even more US-NATO military bases in Greece (including the expansion of the existing ones, such as the Souda U.S. Naval Base) and provided assistance to the US army during the imperialist attacks in Syria. Under the SYRIZA-ANEL government, Greece became even more involved in the dangerous plans of US-NATO in South Eastern Europe, within the context of the euroatlantic alliance's aggressive strategy against Russia. Within this framework, SYRIZA played a leading role in the accession of the Former Yugoslav Republic of Macedonia (FYROM, now known as Northern Macedonia), especially through the “Prespes Agreement” on the so-called Macedonia name issue. Mr Tsipras' government signed strategic economic and military agreements with the state of Israel, while it supported – and still supports – a divisive “solution” for the Cyprus Issue, under the auspices of NATO. The “left” of SYRIZA became an apologist of the imperialists and tried to “whitewash” the role of the US-NATO and EU in the consciousness of the Greek people. On that point, the hypocrisy of Tsipras' government has surpassed all limits: With one hand SYRIZA lays wreath to the Polytechnic anniversary (the November 1973 popular uprising against the US-backed Junta) and at the same time, with the other hand signs Greece's complete serfdom to Trump and NATO. From the very beginning of SYRIZA's electoral rise, the Communist Party of Greece (KKE) was the only political power which, actually and honestly, exposed the real nature of Alexis Tsipras' party. Back in 2012, various leftist and reformist forces in Greece, including SYRIZA, exercised immense pressure to the KKE, in an effort to extort its collaboration with a future “left government”. 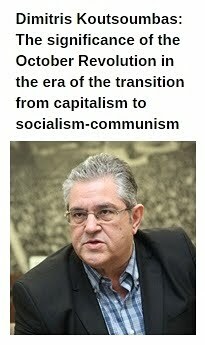 Both bourgeois and opportunist media attacked the KKE for its refusal to join a “left” political alliance under SYRIZA. The KKE has insisted – and insists – on the position that every version of capitalism is barbaric and that no bourgeois government can exercise a pro-people, pro-workers policy within the framework of capitalist economy. 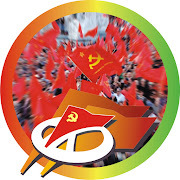 The Communist Party of Greece correctly rejected the “sirens” of opportunism to support a left coalition government based on a “minimum program”; History herself has shown that such “programs” do not cause a rupture in the bourgeois political system but, on the contrary, they are helpful for the system's regroupment. The KKE exposed the actual political character of SYRIZA as an opportunist party that was rapidly transforming into social democracy's major pole. Since the beginning of the capitalist economic crisis, hundreds of articles in “Rizospastis” and the “Communist Review” have provided thorough analysis of SYRIZA's programme, exposing its contradictions, fallacies and deceptions. The position that the Communist Party of Greece kept all these years has been fully vindicated by the political developments. The Party's firm refusal to succumb to the pressure in order to participate in a bourgeois government alongside SYRIZA, is without any doubt a very significant legacy, not only for the KKE itself, but for Greece workers' movement in general. 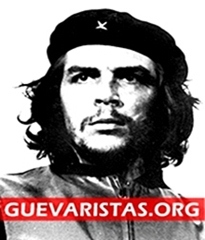 The bourgeois system utilizes the example of SYRIZA in order to sow dissapointment to the working masses. 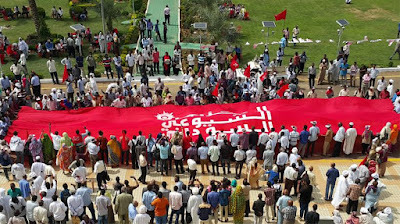 The message that the bourgeois class wants to pass to the workers and the popular strata is that “rupture with the capitalist system is impossible” and to promote the notion of “realism” of subordination towards the existing order. Through the experience of SYRIZA, the ruling class of Greece aspires to send the message that “nothing can change”, that “class war” is fruitless and, therefore, “class collaboration” is needed. However, the truth is very different. The four years of SYRIZA governance has destroyed any illussions. 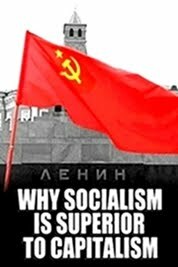 The perception that a bourgeois government can exercise a pro-people, pro-workers policy within the limits of the capitalist system has been totally bankrupted. A major lesson that comes out of the SYRIZA experience is that the rotten exploitative system cannot be managed or reformed in favor of the workers' interests. 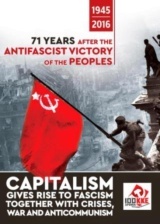 The Greek communists, the KKE, successfully predicted the course that SYRIZA would follow, fought consistently against the illussions spread by Mr Tsipras and his political company, stood up to the challenge of keeping intact the flame of class struggle and managed to organize the struggle of the labour movement. 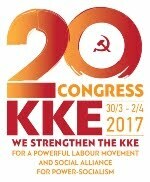 Today, 10 years after the beginning of the capitalist economic crisis and 4 years since SYRIZA came into power, the strengthening of the KKE everywhere – in general, local and EU elections, as well as within the workers' movement- is the only real hope for Greece's working class and popular strata. The proletariat in Greece and elsewhere must learn from the experience of SYRIZA and choose the way of total rupture with the capitalist system, against the power of monopolies, for the overthrow of capital's dominance, towards the socialist-communist future.